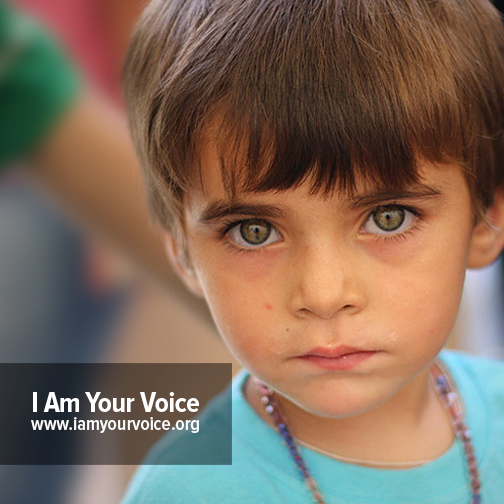 Countless Christians are fleeing for their lives in the Middle East. Their voices have been taken away due to survival. Our brothers and sisters are in need and it is up to us to do something. The months leading up to Haiti went smoothly. Everything just seemed to fall into place. The fundraising, packing, and overall preparation was a breeze. My passport came in the mail within three weeks time! My fundraising goals were met and then exceeded. In fact I kept having friends and family donate to the trip up to a week beforehand. God’s hand of provision was in all of it. This only reaffirmed what I knew to be true: God was asking me to go to Haiti. The week before I left was pure torture though. I tend to worry very easily and anticipate what could go wrong. On more than one occasion I awoke in the middle of the night in a panic. After some intense heartfelt prayers, tears of anxiety and lots of conversations with my family and friends, I took the biggest leap of faith in my life. Needless to say, Haiti was amazing. I quickly fell in love with the people, language, culture and country. Typically when we hear about Haiti, our minds quickly remember the devastating earthquake that happened there back in 2010, and the immense poverty that these precious people deal with on a daily basis. But really, that is only the tip of the iceberg when it comes to the country as a whole. 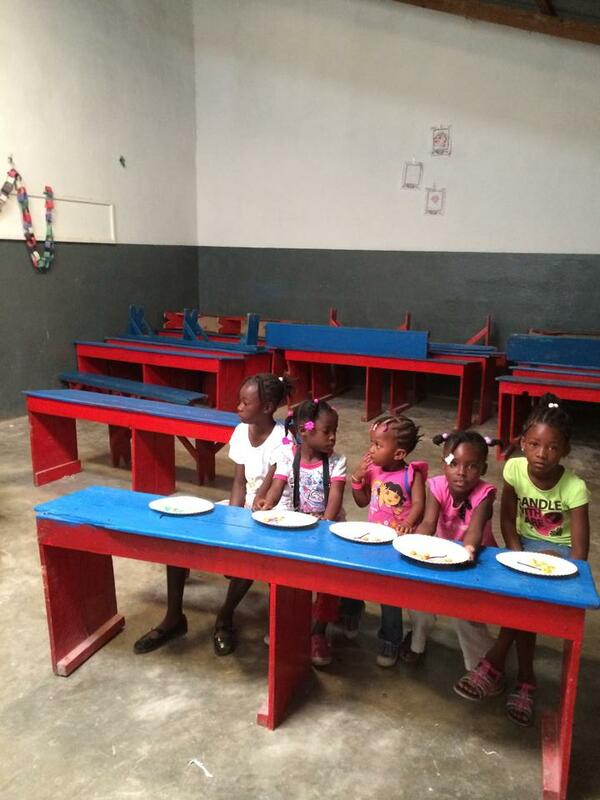 Haiti is much, much more than what we hear on the 10:00 news. Yet what struck me the most there was the joy of the local people. 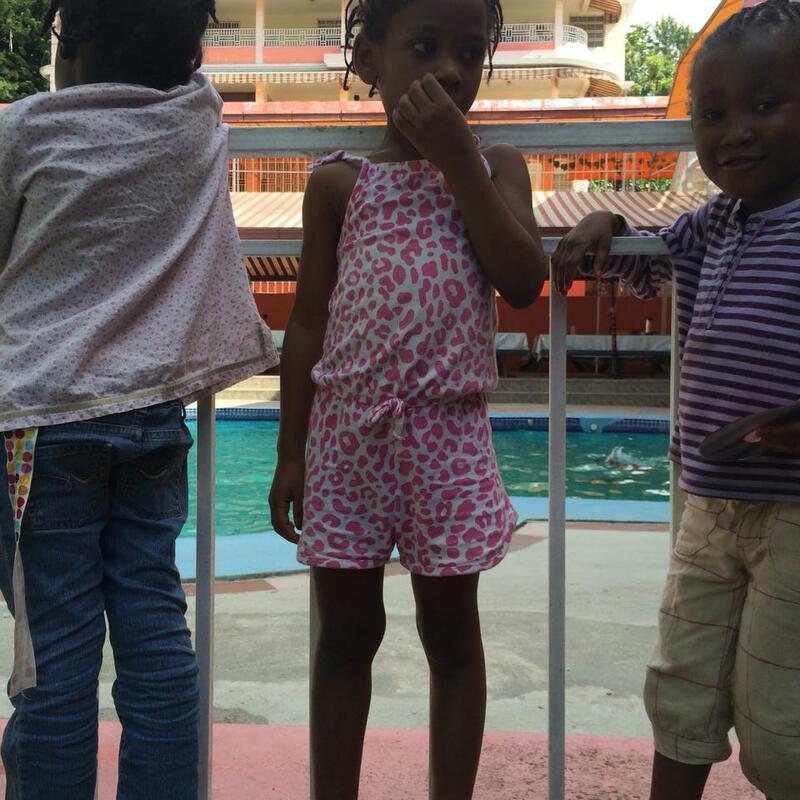 The Haitian people are so hopeful, joyful, kind, hospitable and grateful… extremely grateful. They face some of the greatest hardships such as poverty, unsanitary living conditions, health problems from malnutrition and lack of medical care, yet their joy and gratitude amazes me. Back here in the United States (or any well developed first world country) we are so rich in material goods. If we need food, we go to the grocery store, if we are sick we go to the doctor and get medicine, if we need something fixed we call a plumber, electrician etc. Everything is right at our fingertips. The people of Haiti don’t have that. Despite this though, they as a whole, are wealthier in the intangible things of life. Peace, love, joy, gratitude, kindness, hospitality and more. They are rich in the things money cannot buy. I only wish that back here in the United States people could experience this more. During my week there I was able to help clean a school, conduct Vacation Bible School, go on a prayer walk among the locals, visit a home for disabled men and women and attend a Haitian church service! Being able to minister to the needs of the people there and serve alongside many other men and women was such a blessing. To give you a taste of what I experienced that week and just what God was teaching me, here are a few excerpts from my journal while there. I thoroughly enjoyed the church service, although I wish I could have understood it more! It dawned on me that my church at home, back in the affluent United States, was also worshiping God at the exact same time. Nationalities, race, skin color, all cease to exist as we worship the One true God! It’s still somewhat hard to believe I’m in Haiti! Everyone here is so sweet, hospitable and kind. I love being able to walk out of my room and always see a smiling face. The Lord has truly challenged me to step outside my comfort zone, and indeed I have. By His strength and grace have I been able to do this though. His love extends beyond the heavens; it is infinite! Wow! What an amazing day. Today I went and taught VBS at a church in Callabasse. I was able to do the lesson on salvation and told the kids of Jesus’ amazing love and sacrifice. While most of the children already knew about Jesus and His love, it was such a blessing to remind these children of it… After VBS the team had lunch and then did an hour prayer walk. We went out in groups of four and met people at their houses. I was so glad to be able to pray for the precious people we met and hope we were a blessing to them. It’s hard to believe that today is the last day in Haiti! The time went by so fast! 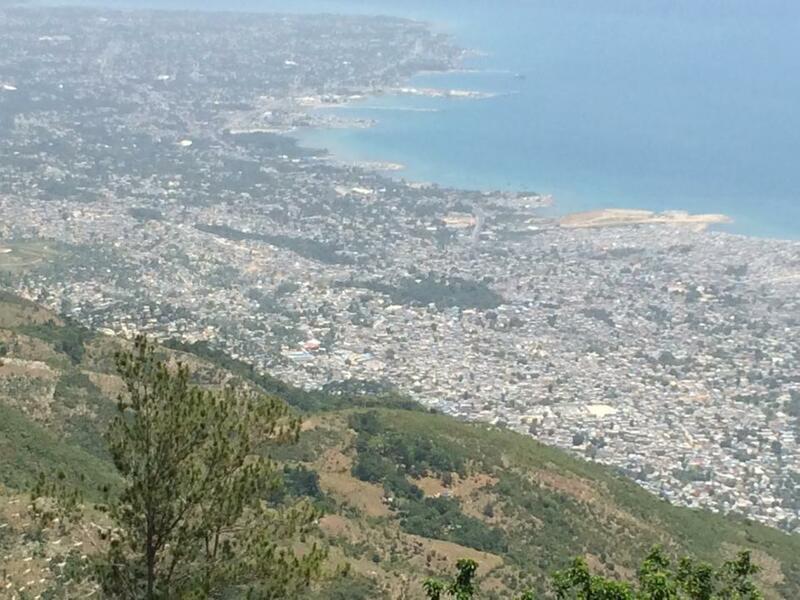 … I praise God for a wonderful, eye-opening trip and know that a big piece of my heart will always be in Haiti. Haiti was amazing. God taught me so many things, helped me to cross cultural boundaries and shed light on what it will look like in heaven as every tribe, tongue and nation worships the One true God together (Revelation 7:9). He has blessed me beyond measure through this mission trip. Now my heart is opened wide for missions. Ministering to others, serving those in need, proclaiming the Gospel and being the hands and feet of Jesus Christ is such a blessing. To be able to partner with God in furthering His kingdom is a labor of love worth living and dying for. I went to Haiti hoping to be a blessing to others; I left Haiti having been the one to receive a blessing in return. Thank you all so much for joining me on this four part series, To Haiti and Back! May we as Christ followers, have a heart for missions and a love for others in a way that reflects God’s own heart. Haiti was on my heart like never before. I began to think about it a lot and was serious about possibly traveling there… but I was nervous. Could God really be calling me to Haiti now? What about in three years God? What about in two years? All these thoughts raced through my mind at lightning speed. Deep down I knew He was asking me to sign up for this trip but I wasn’t ready to make a decision quite yet. I needed more confirmation. I’m putting out my fleece God! Probably not the wisest thing to do on my part, but He was kind enough to send reassurances, confirmations, one by one by one. One day at work a sweet autistic boy I helped with reading every afternoon proudly announced that he was going to visit his grandfather. “He lives in Haiti” he said. I’m sure my heart skipped a beat. Haiti? This boy had family in Haiti? This sweet boy, whom I came to love was Haitian? “I’m going real soon and will visit my Grandpa in Haiti. He lives in Port-au-prince!” he proudly exclaimed. Ok God, I hear you. But if that’s really, really, you can you confirm it again? I needed more confirmation. My hesitations were deep. It wasn’t just a leap of faith for me. It was a leap of faith from one giant cliff to another with a blindfold on and no GPS system. More signs and messages began to make their way to me at this time. Whether it was a Scripture I read, something someone said or even a mention of Haiti, little reassurances that God was asking me to go were peppered across my path. But then, the big whammy came. Not too long after, that same sweet boy J. who had told me about his upcoming trip to see his grandfather came back into the classroom and continued with his enthusiasm about traveling to Haiti. “They need help there” he informed me soberly. “Are you going to travel to Haiti and help them?” he asked me. That was confirmation two. I knew I needed to send an email to the leader of the trip. But I waited. And waited. And waited. I hadn’t sent the email. If I sent the email, it would make my decision more final. I was still apprehensive about going. The boy continued to talk almost every afternoon about Haiti. I had no excuse not to email the woman. But how could I be really, really sure that was God? Eventually I began to realize that my leap of faith would ultimately come down to my own obedience in what I truly believed God was asking me to do. By not emailing the woman about going to Haiti, I was actually on the verge of disobedience. Was God calling me to Haiti? I thought He was. But what if He wasn’t? Ultimately it was a chance I would have to take and trust that God would work it out for my good in the end. Either way, His call to go make disciples, heal the sick, clothe the naked, feed the hungry, help the poor and give a cup of cold water in His name didn’t change. There was a chance He wasn’t calling me to Haiti. But deep down I knew that wasn’t true. Deep down I knew God was asking me to take a step of faith starting with emailing the woman about the mission trip. So with apprehension and a good amount of Divine strength, I hit the send button. And you know what? The peace that enveloped me from there on out was nothing short of Jesus’ ultimate confirmation and reassurance. The decision was made. I was going to Haiti! 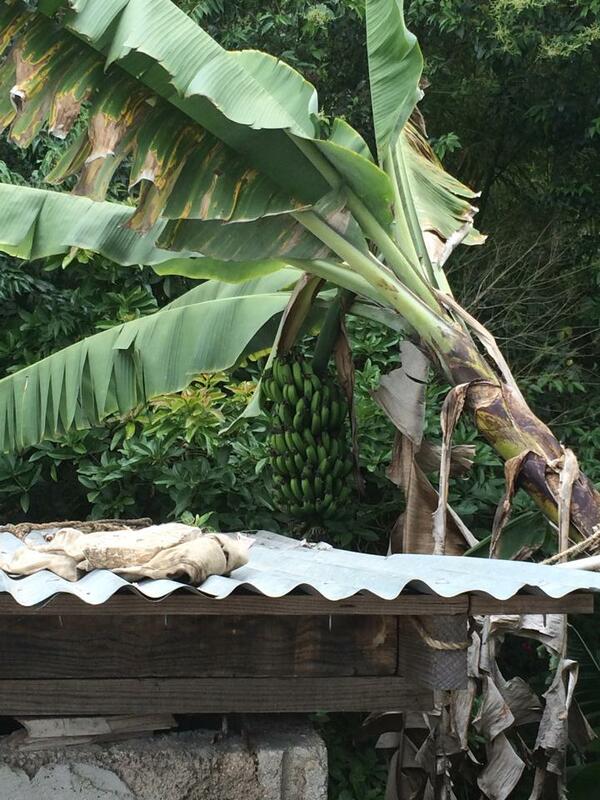 Join me next time for my very last post in this four part series To Haiti and Back. Pictures to follow! This is part two of the series Missions: To Haiti and Back. 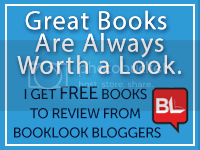 If you have not read part one, I encourage you to do so by clicking here! Meet me back here after you check out my previous post. Going to Haiti was not something that I had planned to do. Never in a million years did I ever really consider traveling to Haiti. It was just too risky. The unknowns were too numerous to count and my anxiety level would surely go through the roof if I ever traveled to a vastly different culture. No, no, traveling to Haiti was not on my agenda. I took comfort in the fact that I had my own comforts here in the United States while simultaneously being able to support those who were called overseas. But going to a third world country was not on my timeline. Like I said before though, the call to Haiti came after a series of what I like to think of as “confirmations;” signs and messages that were too hard to ignore. But more on that in my next post, right now I’d like to pick up where I left off last time: the timing of my trip. It wasn’t a goal of mine to immediately do a missions trip. I figured I’d need time to mature, grow in my faith, get more established in life etc. Within the next three years I’d be ready, but certainly not six months from January 2014! Pretty silly now that I think about it. When do we ever have all our ducks in a row or are mature enough to travel to a third world country?! Nevertheless, my timeline was not God’s and ultimately His plans and purposes for our lives will prevail. I remember that Sunday, less than a month after I read Kisses from Katie, that I saw the postings in our weekly church bulletin. 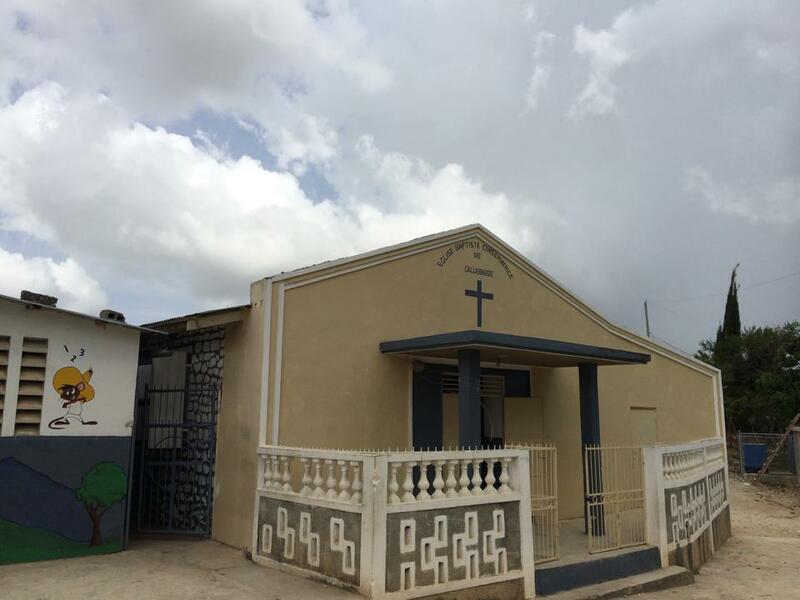 Three missions trips were coming up in the summer and our church was looking for a team of people to go serve in one of three locations: Mexico, Haiti and Kenya. Something inside me stirred. What if? I began to wonder. I knew I couldn’t do Mexico as the timing of the trip would overlap with work and I couldn’t take time off in May. But Haiti and Kenya were during my summer vacation. My friend Maria was even leading the team in Kenya that July. She had been once before. Could God be asking me to go there? I tucked away these thoughts once again and prayed fervently for guidance. Over the next few weeks or so, I began to feel the stirring more powerfully. It wasn’t something I could easily ignore. The thought of going to Haiti sat in my heart for quite some time. But the option of going to Kenya was there as well. How in the world would I choose? If God really was calling me to go, I did not want to make the wrong choice! It paralyzed me to think that I would. This decision was a massive leap of faith for me as I had never been on a missions trip in my entire life and I didn’t want to leap off the wrong foot from the start. But not too long after my church put out the information about the opportunity to serve overseas, I ended up seeing my friend Maria after the service. She was leading a preliminary meeting for the Kenya trip at noon and couldn’t talk long as she was preparing to present. The meeting would be about the overview of what would happen in Kenya, where people were going to serve, financial commitments and other important details. Maria left pretty quickly for the conference room to prepare. Non-coincidentally I bumped into another friend who was also interested in going to Kenya. She encouraged me to go to the meeting with her just to check it out. After much hesitation on my part, massive amounts of encouragement from more than one person and an open door (literally) I ended up sitting in on the meeting and gathering information about the Kenya medical missions. The meeting stirred me towards service, however I left the meeting knowing with even more of a stirring to travel to Haiti. While the trip to Kenya sounded amazing, something about it didn’t feel right to me and with that I had made my decision. The door to Kenya had actually closed for me and a different one was opening. 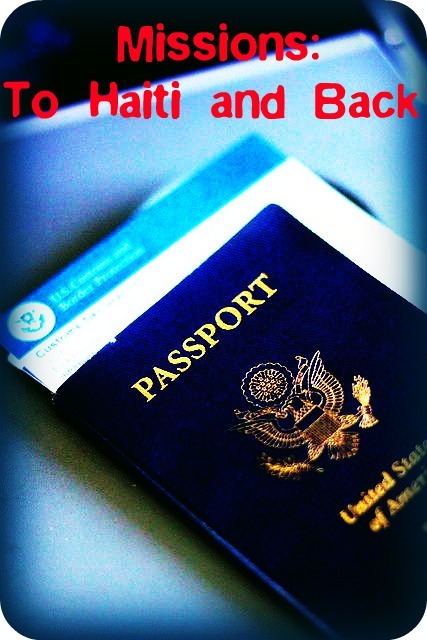 I hope you’ll come back soon to read the next post in this series Missions: To Haiti and Back. Missions. It’s a word that we as Christians hear quite often; whether it be through our church’s updates on the missionaries we support, through our social circles, or through the monthly emails/newsletters we get from people we might financially support and pray with. Missions is not usually a foreign concept to Christ followers, and missions is not something we as genuine Christ followers can (or should) easily overlook either. Dare I say that missions (without actually crossing over into legalistic works based religion) is actually at the heart of being a Christian? To be completely honest, I didn’t always have a heart for missions the way I do now. Sure, I wholeheartedly believed in the work of missions, prayed for and supported missionaries in various ways, and volunteered locally to do help out those in need. But isn’t that just what Christians did? Isn’t that just what’s expected of us as Christ followers? Well…. no it’s not. Not really. Missions is not about doing what God expects of us. It’s not about checking off something on our to-do list for being a good little Christian. Missions is a whole lot more than just going through the motions of serving! In fact if your heart isn’t in it, then I believe it’s something that is far from what Christ calls us to do. I didn’t always see it this way though. I saw missions as a way to fulfill your duty to the Lord and then He would be pleased with you. I saw missions, especially overseas missions, as a radical way of answering the call to serve God. A call that was just not for me. The call to go to Haiti this past June came months in advance. I had just received a copy of Kisses From Katie (a book I HIGHLY recommend) from my mother for Christmas. To say that this book completely rocked my world would be an understatement. It rocked my world and then some! I devoured the pages of this book as I read about a young missionary not just going through the motions of serving, but wholeheartedly serving with one goal in mind: love. It moved me to to the point that I knew, without a doubt, that God was calling me to do a missions trip. I wanted what Katie had in Uganda. I wanted to surrender myself completely to God and love others somewhere overseas as I served with heart abandoned. Little did I realize that God was calling me to go, serve, and answer the call right now. Little did I realize that the call would come less than a month after finishing the book Kisses from Katie, to travel to a country I’d only heard about in the news. Little did I realize that God was going to use this trip to stretch my boundaries, expand my vision and test my muscles of faith, obedience and love. 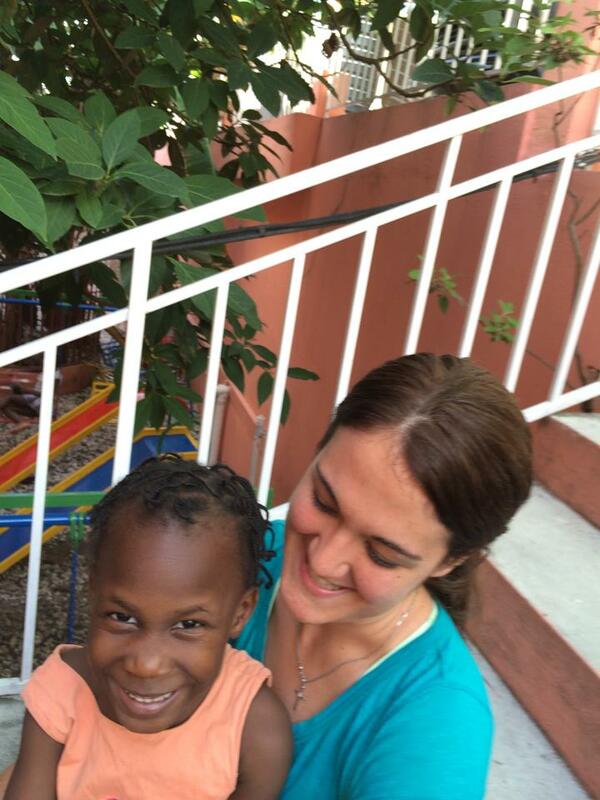 Join me next time as I continue to write about my grace filled journey to Haiti and back! !